Considered prolific by many, TIMI has released a string of 9 singles in just over a year, each song providing a glimpse into the vivid cosmos within his unique looking glass. his records contain themes of dark and light fantasies, often reflecting real life stories through a more metaphoric prose. 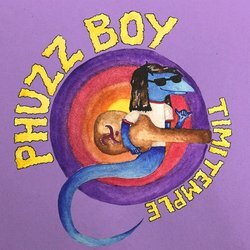 'Pretty Boy' is the current single taken from Timi Temple's 'PHUZZ BOY' EP out on November 30th.